BetEasy.com.au has officially been resurrected and will be formed during August 2018 from the ashes of Australian stalwarts Crownbet and William Hill. Both Northern Territory-licensed bookies have been bought out by global gambling giant The Stars Group, most known for its Pokerstars brand. This BetEasy review will highlight the features of the website and mobile betting apps, plus run you through the pros and cons of using this company for your wagering needs. Because the names clashed with former ownership, these being Crown Resorts Australia, and William Hill UK the company has been forced to rebrand back to the brand founder Matthew Tripp launched in 2014. Significant Terms: ^ Excludes VIC, NSW, SA & WA. New customers only. Existing CrownBet members at 11:59pm 12/08/18 are not eligible for this offer. Bonus Bets are subject to our standard T&C’s. Winnings from bonus bets must be turned over at odds of $1.50+. Gamble Responsibly. BetEasy is one of the most popular online bookmakers in Australia and they have a huge marketing budget. This means punters are given plenty of incentive to open an account. BetEasy will give all new customers up to $500 in first deposit matched bonus bets. So if your first deposit as a new customer of BetEasy is $500, BetEasy will reward you with another $500 worth of bonus bets. NB: When you open a BetEasy account you automatically open a BetEasy My Rewards account, which is used across all of the Crown Resorts empire. Upon opening an account you are automatically credited $25 in rewards points, which can be used on a real money wager. BetEasy.com.au began its journey as BetEzy.com.au in 2005. Since then the company has swapped hands and changed names and owners more times than I’ve had hot meals. Including, in early 2015 James Packer’s Crown Resorts and leading virtual bag man Matthew Tripp teamed up to bring Australia CrownBet.com.au, putting the BetEasy.com.au domain on ice… for the time being. CrownBet has built a robust reputation quickly and have become one of the most popular bookmakers on Aussie shores. They are known for being the official wagering partner of the AFL and for a great coverage of horse racing and any other sport based out of Australia. Crown Resorts announced at the end of August 2017 it was branching out into lotto, with its bookmaker business Crownbet to run it. However this was a short lived venture and soon after with increased regulatory pressure the company opted out of the Lotto space. So what is BetEasy? What do they have to offer the average Aussie punter? And what sets them apart from the ever-expanding pack of online bookmakers in Australia? Ownership: BetEasy.com.au is majority owned by The Stars Group, while Matthew Tripp and Associates own the remaining shares. It is yet to be announced how the new share structure will work when Stars other acquisition William Hill is also merged into BetEasy. The latest BetEasy rebrand: The Stars Group and Tripp were keen to run with Sportingbet.com.au (yep that old favourite) before Sportsbet.com.au blocked the move through a copyright infringement. Bullish future? The Stars Group when the purchased the majority share in Crownbet said the company had grown its unaudited annual revenues from about $76.5 million in 2015, to $204 million in 2017. This later result was the first time the unaudited earnings before interest, tax, depreciation and amortisation was positive. Matthew Tripp: The man from country Victoria has the Midas touch. After being the no.1 man at Sportsbet for many years he has again reached the pinnacle of bookmaking in Australia. You imagine with the clout of The Stars Group behind him, Tripp might be eyeing the world next. Is the son of bookmaking legend Alan Tripp. 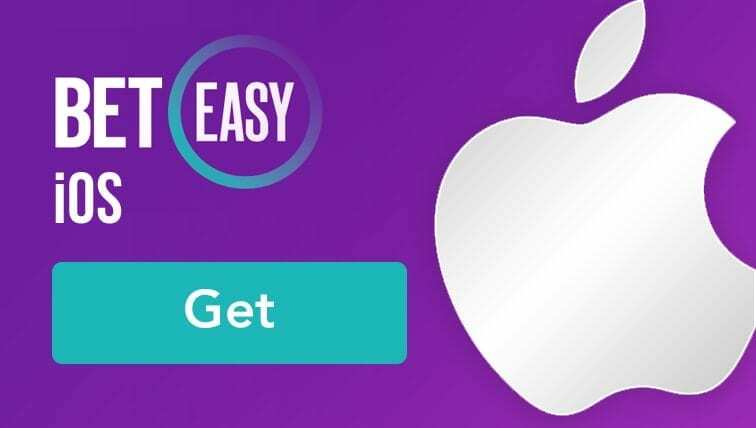 BetEasy.com.au is easy to access via your desktop or laptop and has been made simple to access on the go (mobile or tablet) thanks to their apps available on the iOS app store or for Android. 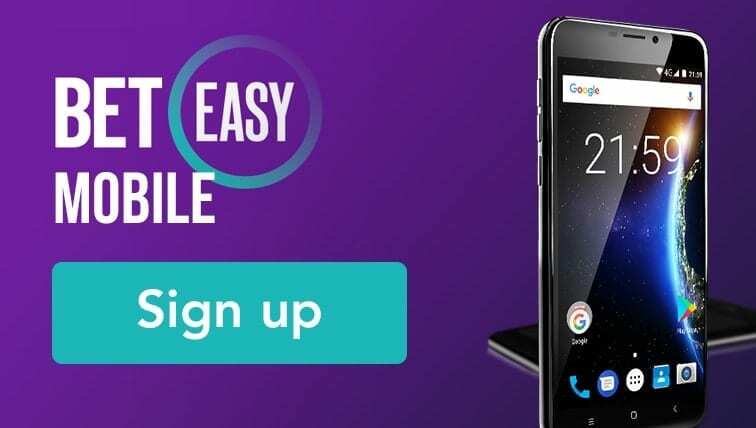 If you have a mobile that doesn’t operate with either of these systems you can still have a punt on the go by going to the BetEasy mobile site through your mobile device’s internet explorer. 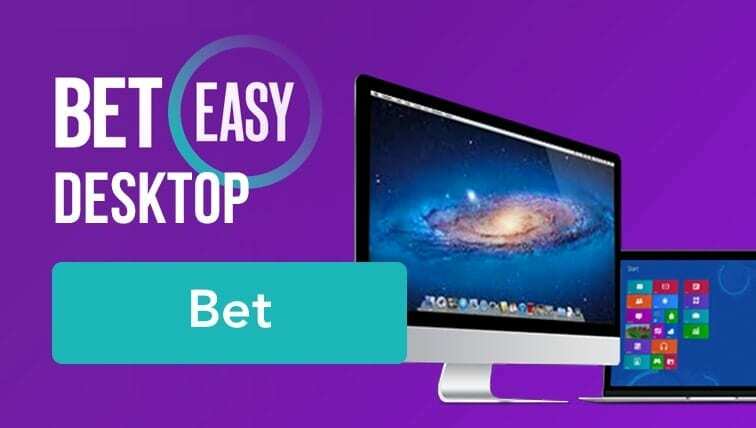 Desktop: It’s as simple as opening an account at the bookmaker and verifying it. Even without an account you can browse the full website and check odds. If you have ever visited the mobile site of BetEasy.com.au you will find that the app is very similar but it has a bulked up and faster interface. The added features of the app make it well worth adding to your mobile device, or tablet. You will enjoy the ability to store deposit methods and other personal information in the app, meaning you don’t have to punch it in every time, as you would if you used the mobile site. The navigation is also much better in the mobile app, with several extra menus that are part of the download accessible. Android App: The BetEasy.com.au app is available to download directly from the Beteasy website. If you have not changed your settings to allow non-market apps you might need to do this before you can install the Android app. iOS App: You can download the iOS app via the app store but we recommend joining the bookmaker first, as the process is smoother on both mobile and desktop. Other: The BetEasy website is fully responsive so whatever device has the internet on it you can sign up. As an added bonus of BetEasy they have significant streaming feeds, including AFL and horse racing. Other sports covered by BetEasy streaming include many tennis, basketball and soccer games from around the world. Horse Racing: Beteasy.com.au has struck a deal with Sky Racing which will see them stream the Sky feed via their website. This means you can stream horse racing from Victoria, via a previous deal struck with Racing.com, and every other state via the deal with Sky Racing. If you are a racing fan you can’t really not have an account at Sportsbet because of this Sky Racing agreement. Basketball: While Beteasy no longer has the NBA, they solidified a solid base of basketball fans by including a NBL streaming service. This means you can watch every game of every season of Australia’s best competition. Soccer: Beteasy streams matche from the La Liga, the English League Cup, French League 1 and other European soccer competition. If an online bookmaker doesn’t have good odds you don’t want a bar of it and lucky for us, while reviewing Beteasy we found them to be very competitive in this area. However they are known to cut off successful punters who are having a crack. Often when we have found ourselves on a good roll, we have found our bet limits have bene significantly restricted. Despite this if you are a mid-level bettor you must be a member at BetEasy because they do often have the best odds on both horse racing and sports betting. You can explore the BetEasy markets and check the latest odds on their website. BetEasy offers a robust and rich spread of racing options. With both domestic and international thoroughbred, greyhound and harness races on offer 24/7, Beteasy is a racing punter’s delight. If you’re a member at Beteasy.com.au, you’ll never miss a live race – the bookmaker provides free footage of every race in Australia, every day of the year. Horse races are on offer from Australia, New Zealand, Hong Kong, the UK, USA, South Africa and France while dogs and harness racing is also front and centre. As well as a fantastic range of races to choose from, BetEasy also has a great range of bets and markets available like win/place, quinellas, exactas, trifectas, first-four, daily doubles, trebles and quaddies. On top of that BetEasy has some extremely attractive racing promotions. It offers Best Tote Plus on all Australian horse races. This gives you the best price between S-TAB, NSW TAB, Tatts and even the on course starting price. BetEasy also offers Protest Payout’s on all Australian horse and harness races. This means if you have a win bet and your horse is first past the post but loses in an upheld protest, BetEasy will still pay your bet as a winner. BetEasy.com.au doesn’t just lean on racing as their bread and butter, and like most online bookies they have an outstanding range of domestic and International sports to bet on. They have a huge range of markets on a massive range of different sports both domestic and international. As with racing, check BetEasy’s handy “Promotions” page for any current deals they may be offering on your favourite sport. You can also deposit funds via direct transfer from your online banking. BetEasy supplies you with their account number and BSB to deposit funds. All direct transfer deposits take around 24 hours to clear and be available for use in your account. Minimum deposit amounts can vary between each method, but as a rule of thumb, work with a $10 minimum deposit. BetEasy has a minimum withdrawal amount of $5. Your funds can be withdrawn via electronic funds transfer and will appear in your nominated Australian bank or credit union account within 48 hours. This means you can withdraw via a bank transfer which can take up to 72 hours, this is probably the only suitable option for those outside of Australia. The other option is to withdraw back onto a credit or debit card that is linked to your account, you must have made a deposit via this method to use it to cash out. Other reasons you might not be able to cash out include your balance being a bonus amount that is yet to clear wagering requirements, or you have no bet a deposit before you try and withdraw. 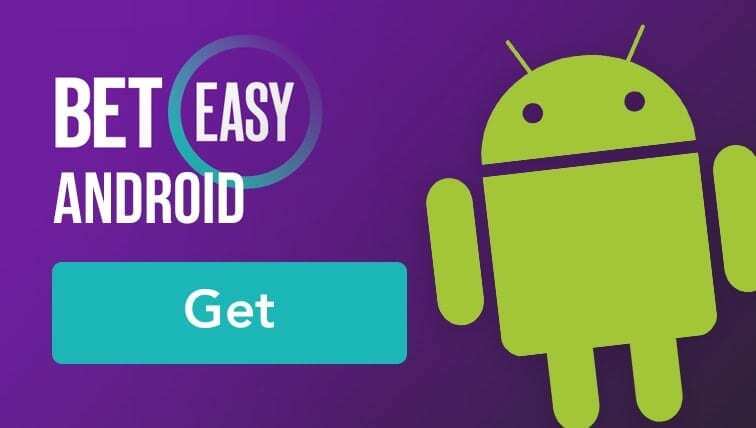 BetEasy has an automated system which allows you to verify your account, which works by attempting to verify the details you have entered during the sign up process. If this does not work you can via the company’s customer service attempt to verify your account using a drivers license or passport. The third option is sending in certified documents, which the customer service team will be more than happy to help you with. You will be able to deposit to an unverified account, however when you attempt to withdraw any winnings you will be prompted to verify before withdrawing. BetEasy has several methods of contacting customer support, with these including their email form, live chat and via telephone. BetEasy.com.au has the parents of our favourite poker host Pokerstars (banned in Australia) backing them and are truly part of a global empire. Having said that Matthew Tripp is a bookmaking icon in Australia and definitely has our trust through his association with firstly Sportsbet and then creating the current bookmaker and going on its journey through several different incarnations. Overall it was a pleasure writing this BetEasy review If you are not yet a member at BetEasy.com.au it is well worth your time joining. The landmark deal gives BetEasy exclusive access to NBA data, content and marketing tools. The acquisitions of BetEasy and Sky Betting have led to an excellent Q3 result for Canada's Stars Group. BetEasy has filed papers with the Federal Court in a bid to have Sportsbet's trademarks rescinded.